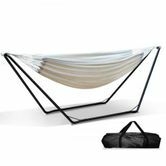 This Gardeon Hammock with Stand will get you comfortable in no time at all. 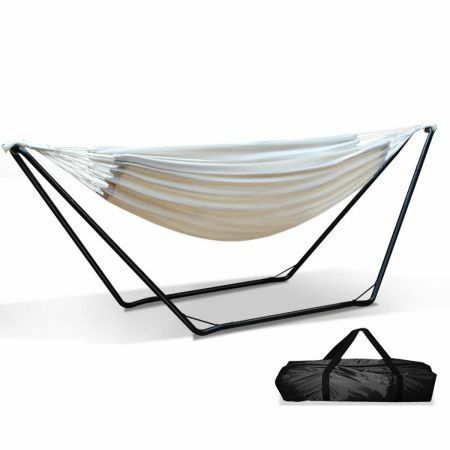 Made from 100% cotton fabric, this hammock is soft, comfortable and well-ventilated. Plus, the strong and sturdy stand is constructed of heavy-duty steel with a powder-coated finish for durability and reliability in all kinds of weather use. Not least, it is can also be adjusted for six different height levels with no tools needed. Simple and easy in every way.